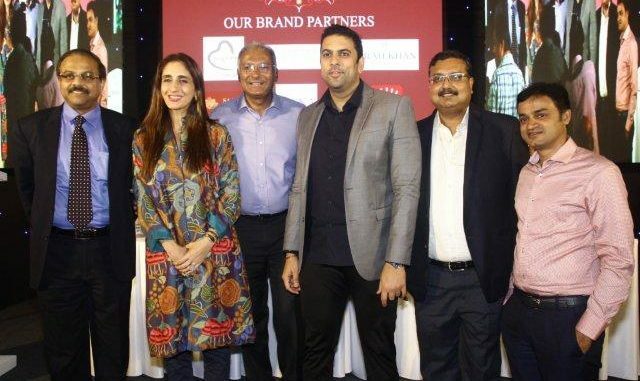 Bandhan Jewels a new multi-brand jewellery retail chain got launched in Mumbai. The new retail chain will retail generic jewellery and top brands in India like Being Human Jewellery, Farah Khan Fine Jewellery, Kisna Diamond Jewellery & Rio Tinto Diamonds. This pioneering concept of a combination of generic and branded jewellery in a retail chain is a first in the country. Speaking on the development, Prasad Kapre, CEO & Director, Style Quotient Jewellery Private Limited said, “We are actually linking the top brands of the country and the best manufacturers in the category to the last mile retailer in a very cost-effective way. The platform is unique because it brings mid-sized retailers together and gives them operational efficiencies of national and international brands; allowing them at the same time to sell generic Value For Money jewellery. In this manner, the associated retailers can compete with local jewellers in their area and offer a variety to the customers making them a one-stop-shop.” This development also works out for brands and manufacturers to reach out to customers without having to invest in retail infrastructure. Bandhan Jewels target middle and upper-middle-class consumer segments. Farah Khan, Managing Director, Farah Khan Fine Jewellery said, “I am happy to have our brand being retailed at Bandhan Jewels. Started by industry veterans like Prasad and Santosh; the vision of Bandhan Jewels resonates with our vision of how beautiful jewellery should be available to consumers all over the country.” Parag Shah, CEO, Kisna Diamond Jewellery and Vikram Merchant, Director, Rio Tinto Diamonds who were present at the launch echoed the same sentiments.